Don’t be fooled by the concept car tag, as this is Mercedes’ latest SUV which will be revealed in production form in the next couple of months. 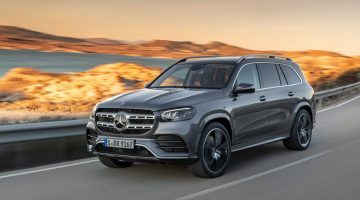 It will be based on the same platform as the new A-class, and will join the next-generation GLA at the entry-point of the Mercedes SUV range, but with rugged G-class-like styling and more interior space. 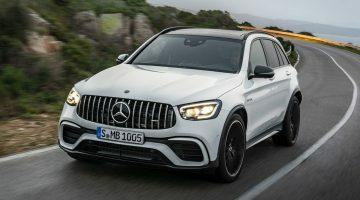 Instantly notable is the GLB’s upright stance and chunky styling, but don’t go thinking this new SUV is a Baja-bashing off-roader, as its underlying chassis is derived from that of the new A-class. As a result, expect a part-time, front-biased, all-wheel-drive system, and the same combination of four-cylinder turbocharged petrol and diesel engines. The range will eventually be topped by an AMG GLB35 model, which is likely to feature the same 302bhp, 2-litre, four-cylinder turbocharged engine as found in the A35 and CLA35. Although the incoming A45’s 400bhp-plus powertrain will fit, the GLB’s less dynamic stance might draw a line at AMG spreading its flagship four-pot quite so far. Behind the show car’s off-road tinsel, the blocky graphics and tall cabin give the SUV a distinctive look compared to its range siblings, but don’t go so far as to totally mimic the military vibe of the larger, far more expensive G-class. The interior is more familiar, sharing many of its core interior elements with other A-class derivatives. 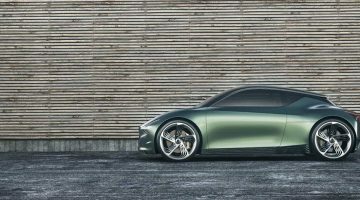 The show car’s brown and orange trim is unlikely to make production, but we suspect the road car will focus on durable materials to handle the usual family fodder. The A-class’s impressive MBUX infotainment system and dual-screen set-up are featured, sitting above the same triple-roundel air vents and minimalist controls. The GLB is due to be revealed in production specification in the next few months, and should compete against rivals such as the Audi Q3 and BMW X1. A next-generation GLA is also on its way and will likely feature a more coupe-like shape than the blockier GLB.